Hello, I am Sue Hillebo. My husband Scott and I live and farm north of Polk City with our three sons Jacob (Jake), Corey and Austin. I also work full-time as a USPS clerk in Johnston. My son Jake receives adult day services and respite services with Easter Seals Iowa. We have been connected with Easter Seals Iowa and Camp Sunnyside for almost 30 years now. This is because my first son Jacob was born with Sturge-Weber Syndrome. Sturge-Weber is not well known, but it can range from as mild as a small port-wine facial birthmark and no mental aspects, to complete immobility and great effects on physical and mental capacities. Jake falls somewhere in the middle of these two extremes. Jake is fairly high functioning, he is mobile on his own, can verbalize some words and can do some sign language. Doctors told us when Jake was just as baby, that he would not live very long and not walk. The first two years of his life were the toughest years of ours. We were in and out of the hospital because Jake had frequent, intense seizures. Through great doctors and modern medicine, we were able to reduce his seizure numbers and now he only has a very small episode maybe once every couple of months. Jake has not only outlived doctor’s expectancies at 33 years old, but he has thrived. He still lives at home with us and LOVES to be around the farm. Jake jumps at any opportunity to be outside, ride on the ranger, hop in the tractor with one of his brothers, or even get up in the combine with Dad to ride for a few hours. When it’s not so nice outside, Jake enjoys movies, sports, particularly football and his beloved Iowa State teams, or just going shopping and being out in the community. Jake receives Respite and Life Club services through Easter Seals Iowa at Camp Sunnyside. One weekend a month Jake participates in respite services from Friday evening until Sunday afternoon. This is like a weekend getaway at Camp, where Jake gets to participate in activities that he enjoys such as swimming, horseback riding, boating, fishing, dancing, singing, campfires, and many more. During the week, Jake receives adult day services through Life Club. Here he does more structured activities in groups and takes trips throughout the community to places like fire stations, coffee shops, historical societies and parks. Easter Seals and Camp Sunnyside has meant so much to not only Jake, but also has been a huge help for our family. We love having Jake around, but he provides some unique challenges. When Jake attends Life Club during workdays, it allows us to have full-time jobs to help make ends meet. Also, the one weekend a month where Jake attends Camp Sunnyside for respite really helps the family as well. One of Jake’s challenges is he can’t speak, but he does have quite a bit of understanding. You just have to go at his pace. Easter Seals Iowa has helped him out in this process and grown with him. Through our almost 30 years with Easter Seals Iowa, we have noticed and are very thankful for, the increases in the quality of staff, services and facilities. 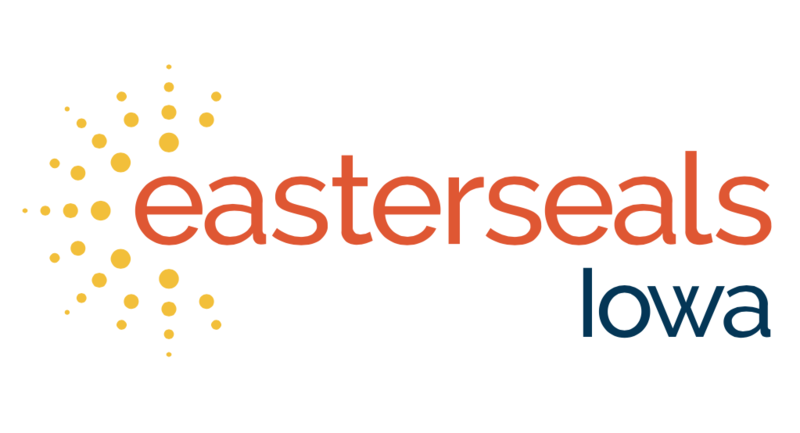 I don’t even know where we would be without Easter Seals Iowa, and frankly, it’s hard to even fathom. We feel so fortunate to live within a reasonable distance from Camp Sunnyside and that Jake gets to participate. Thank you! Next Ramona Loves Camp Sunnyside!